Wonder Woman represents a distinct and unique member of the DC Justice League. As the only female member of the team, she maintains a decidedly different point of view than any other hero on the roster. While she isn’t the first female superhero to make it to the silver screen, she will become one of the first to have her own major solo adventure when Wonder Woman hits theaters in 2017. According to actress Gal Gadot, this means the character has to be able to stand on her own and assert her independence as a woman. It was important for me that we show how independent she is. She is not relying on a man, and she’s not there because of a love story. She’s not there to serve someone else. So according to Gal Gaot: Wonder Woman needs to possess the same level of independence and self-reliance that we associate with any male superhero. Her motivations must feel organic and not linked to any sort of entanglement with another character. While she may be one of the most caring and compassionate members of the Justice League, at the end of the day she’s also a warrior with a very particular view of the world that deserves respect. Does this mean that the DCEU’s version of Diana Prince cannot have a love interest at all? Of course not. We know for a fact that she will have some form of deep romantic connection with Chris Pine’s Steve Trevor in Wonder Woman, and she very clearly has some degree of attraction to Ben Affleck’s Bruce Wayne in Batman V Superman: Dawn of Justice. (Unless she's playing him, also possible.) All this means is that the future DC films need to make sure that the character’s call to action does not stem from the will of men. She’s a strong, independent woman with her own agenda, and if she just so happens to fall in love through the course of her adventures then that’s even better; we just cannot see her enter the fray simply because of a man. What are your thoughts on this matter? Do you like the direction Gal Gadot seems to be taking her Wonder Woman? 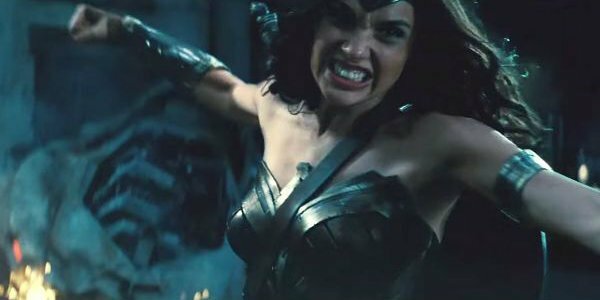 We will just have to wait and see how she fleshes out the character when Batman V Superman: Dawn of Justice hits theaters on March 25, and then later when the Wonder Woman solo adventure finally blasts into theaters on June 23, 2017.